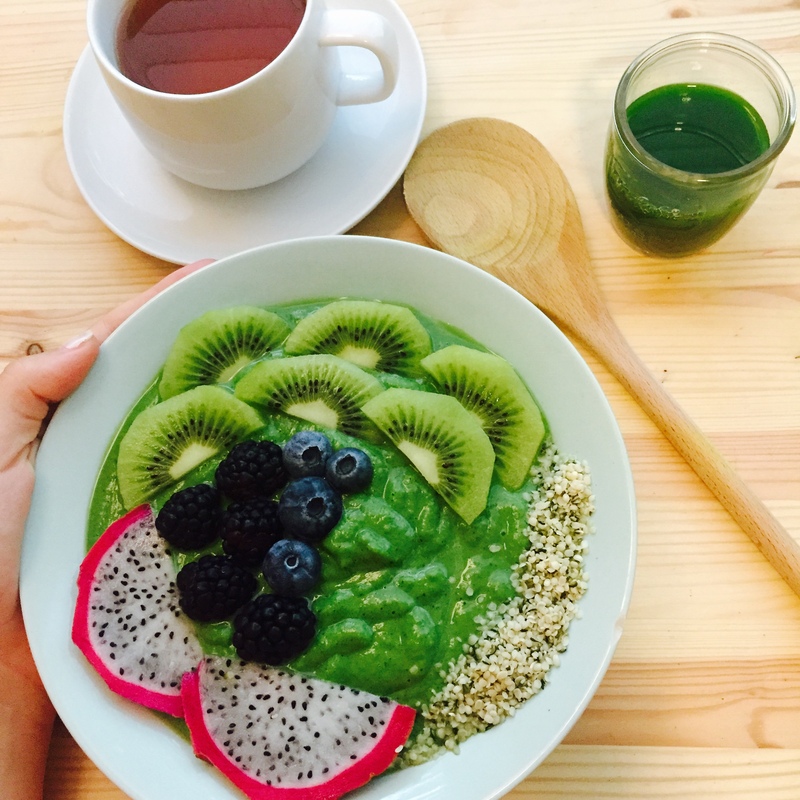 This is my absolute favorite detoxifying green smoothie bowl. It is creamy, cold, nutrient dense and low glycemic. Most smoothie bowl recipes I see (including my own recipes) often utilize the banana, specifically the frozen banana, to thicken up their green smoothie bowls. I love doing this from time to time, but I am very conscious of trying to stay within a low glycemic index. 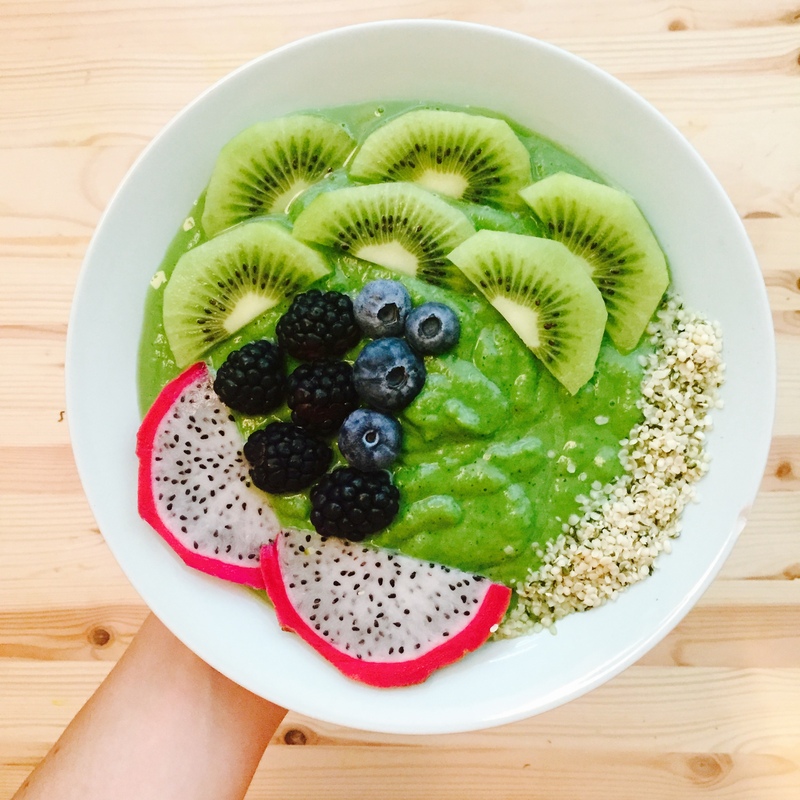 Bananas are delicious and a great way to get your potassium, but if you are trying to detox and want to consume less sugar, you can sweeten up your green smoothie bowl with kiwis like I do. One kiwi has 6 grams of sugar, while one banana has 14 grams of sugar. Bananas are by no mean unhealthy, I just wanted to give anyone avoiding bananas a good alternative. I use heaps of kale or spinach, one avocado full of those wonderful monounsaturated fats, and one kiwi filled with 64 mg of vitamin C and only 6 grams of sugar. Enjoy! I topped this one with more kiwi, blackberries, blueberries, dragonfruit, and hemp hearts. You can top yours with whatever your heart desires, and thus, the beauty and fun of smoothie bowls.